How to Remove Raccoons: What Does Raccoon Poop Look Like? 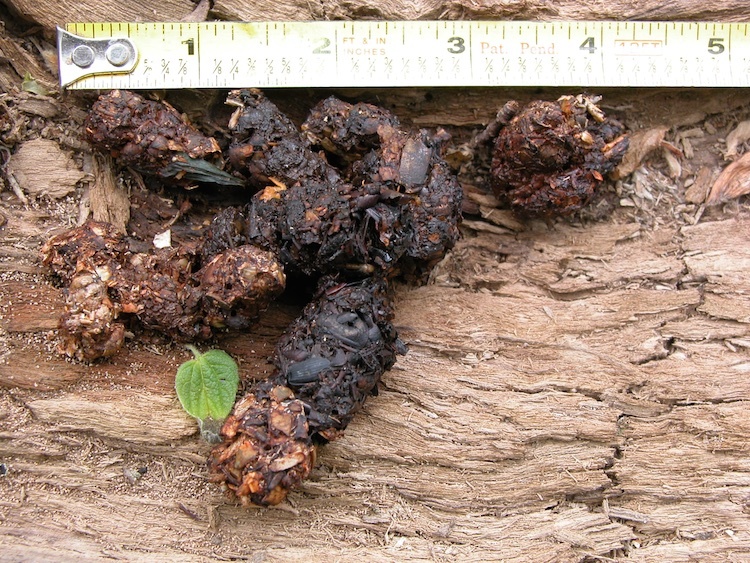 What Does Raccoon Poop Look Like? Hi my name is Brendan Mangnitz, I have been in the Nuisance Wildlife Removal industry now for nearly 6 years since I graduated from College at UF with a background in Entomology and Wildlife Biology. I have seen and controlled just about any wildlife issue you may think of. I have dealt with raccoons in apartments complex, raccoon removal from your everyday house hold, raccoons in the attic, raccoons digging up yards, raccoons in pools, raccoons stuck in chimney’s, and the list goes on and on. I have used several different control and removal methods for raccoons and that’s what I want to share with you guys on our website here at 247wildlifecontrol.com. Some of the biggest questions customers ask me in the field are: What kind of poop is this? How can I tell what kind of animal left these droppings in my attic? How do I know whether or not this poop is indeed raccoon poop and not possum poop or squirrel poop or rat poop? There a lot of distinguishing factors when it comes to determining raccoon poop, as you can tell from the pictures on this page. How big are raccoon droppings? Raccoon poop is about the size of dog poop; raccoon droppings are notorious for having what appears to be seeds inside of the raccoon poop. It almost looks like pieces of berries are present in the raccoon poop. The explanation for why raccoon poop includes seeds and berries is that raccoons spend the majority of their time outdoors eating berries, fruits and nuts. You can find anything edible from the wild inside raccoon droppings. If you look closely at the pictures of the raccoon poop on the right, you'll see how raccoon feces are blackish in color. If you are trying to identify raccoon poop or trying to figure out how you can tell if you do indeed have raccoons in the attic (based on the poop that's in the insulation), you're going to look for the following distinguishing factors: Generally raccoon poop is about the size of dog poop; it is about a half inch to an inch in diameter, depending on the size and the age of the raccoon that is in your attic. Most of the time when you have raccoons in the attic, it's going to be a female that is pregnant and about to have her babies. Like I said earlier, the biggest giveaway with how to tell if it is raccoon poop is going to be the berries in the poop itself. 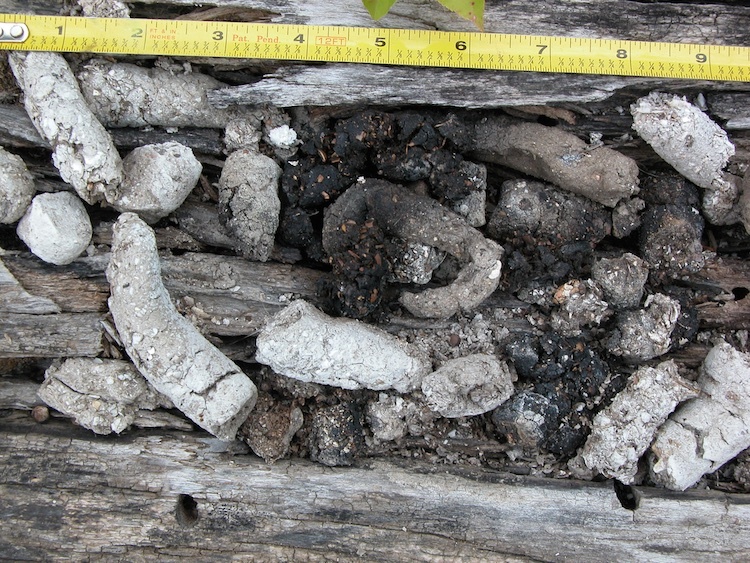 Generally raccoon poop will break in the middle (not a continuous string of poop), as seen in this picture of raccoon poop on the left. This is one way to distinguish raccoon poop from opossum poop: opossum will generally be one continuous pile. If you are in your attic and you notice that the raccoon poop you find is in piles with urine spread around, this is called the latrine. Raccoons, unlike most other animals, will only poop in one area. Almost think of this as a toilet. Whenever rats, opossums and squirrels poop, they will defecate wherever they're walking. There is no rhyme or reason why raccoons will only poop in certain areas collectively. Raccoon latrines are also referred to as “the train” because raccoon feces in the attic will pile up. Regardless of what animal the poop belongs to, you want to make sure that you DO NOT touch the feces you find in your attic. You should call a professional for wild animal poop removal. If you do decide to remove poop you find in your attic without the assistance of a professional wildlife control team, you definitely want to make sure you have a respirator on because raccoon feces can contain several different types of bacteria and insects that can harm you and potentially lead to death. One horrible health issue that stems directly from raccoon poop is roundworm. Roundworm, if ingested, leads to a variety of symptoms and can become fatal. Raccoon roundworm can become ingested by simply breathing it in if you are around raccoon feces. If you do not treat the roundworm that you ingest from raccoon poop, you can eventually die. There are also other bacterias affiliated with raccoon poop such as histoplasmosis and hantavirus, which are both diseases that can lead to severe respiratory issues. Another frequent question that customers call me and ask me about is what does raccoon poop smell like? To be honest with you, it smells exactly how it sounds, terrible! Feces from raccoons has a very strong odor mixed in with a urine smell, so the feces will start to smell like ammonia and rotting feces. Flies, larvae and other parasites will gather around this raccoon poop in your attic, so you want to make sure you're extremely careful. Remember that diseases can easily and instantly become ingested or inhaled from simple proximity with raccoon roundworm. Eggs can also be found in feces and urine from raccoons, which can also be inhaled. Larvae that is inside this parasite will start to affect the central nervous system of a human, causing diarrhea, dehydration and can lead to further health issues. For this reason, you should hire professional raccoon trappers and professional raccoon removal companies when dealing with raccoons in the attic. 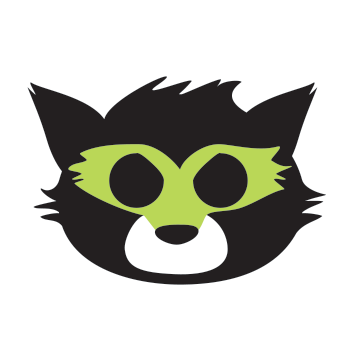 A professional raccoon company like 24/7 Wildlife Control uses proper respiratory safety equipment, including hazmat suits, to protect the working technicians during raccoon feces removal. Professionals will remove the entirety of raccoon poop and raccoon urine in the attic safely to ensure the environment is clean and sanitized to prevent any inhalation of hazardous diseases. Once raccoon poop is removed by a professional wildlife control company, your raccoon trapper will sanitize the attic and all of the areas where the raccoon poop was in order to guarantee the safety of our customers clients and family. Raccoon droppings around your property, home, lawn, pool or attic need to be removed immediately. Raccoon poop does smell; raccoons are wild animals that live outside. Raccoons also tend to defecate in residential pools, as well as lakes, rivers and ponds. If you find raccoon poop in any of these places or around your house or attic, stay away from it and make sure your dogs, cats and kids don't touch it, eat it or play with it. You do not want your children or pets to ingest any of the harmful bacteria and diseases that are affiliated with raccoon poop or raccoon urine. Poop found in your attic commonly belongs to raccoons; if you think you may have an issue with a raccoon infestation in your attic, please inspect the images on the left to confirm that what you have found indeed belongs to raccoons. 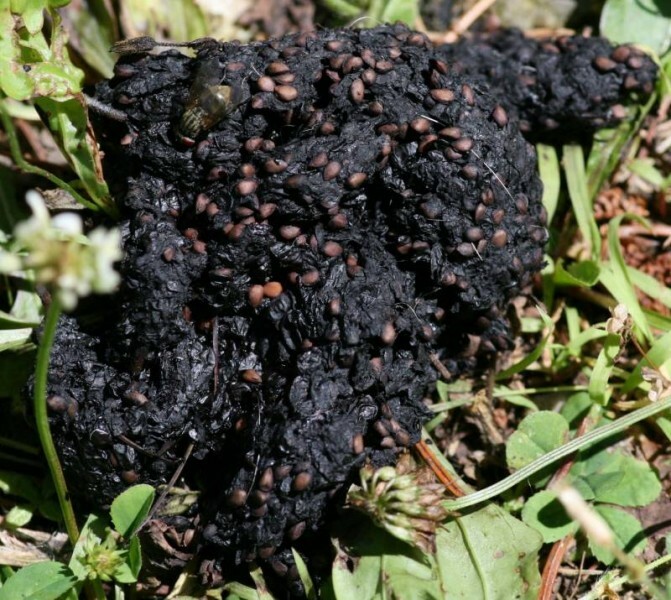 You'll be able to get a good idea of what species the found feces belong to. 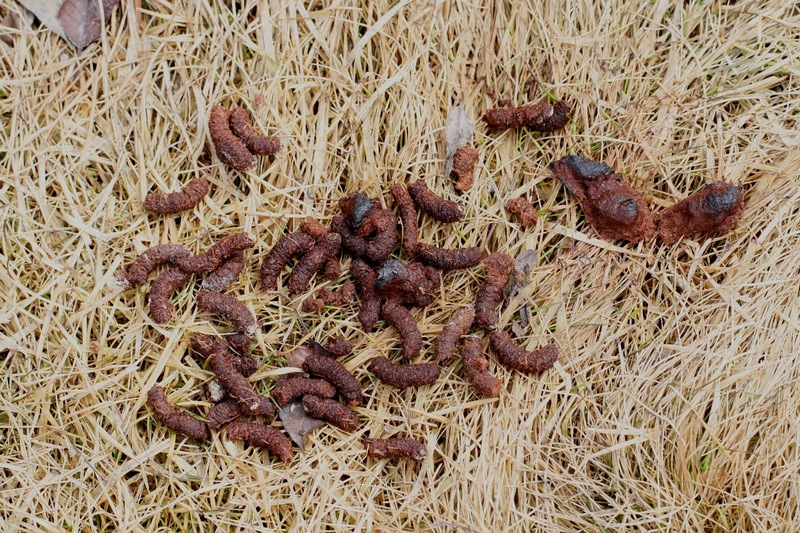 There are a lot of features of raccoon poop that makes it different than other animal feces, so please pay a lot of attention to these. 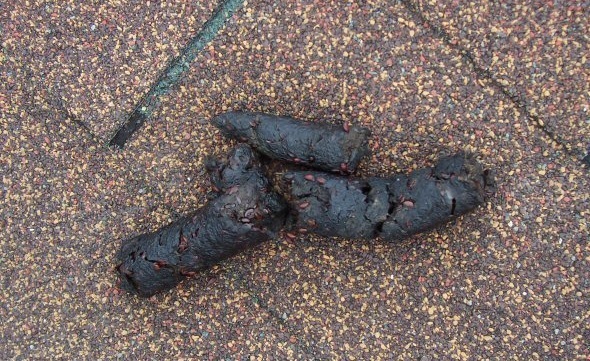 These raccoon feces pictures will help you when trying to identify whether or not you are dealing with raccoons in your attic or raccoons pooping on your lawn. If you think you are having an issue with raccoon poop and want to get an expert opinion, give me a call! 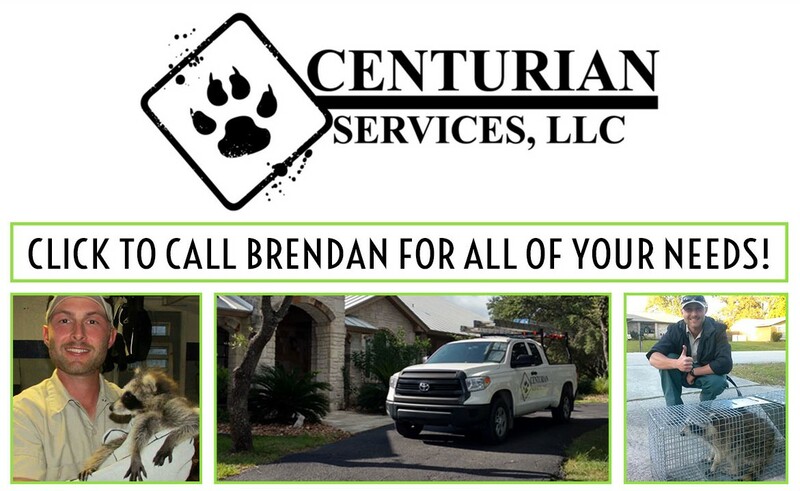 My name is Brendan Mangnitz with 24/7 Wildlife Control and I am always available to help identify what kind of feces you have found and would be happy to send one of our technicians out to assist you.